If there is one thing that gets me more excited than food, it has to be finding new cafe gems. To me, food served at cafes is merely bonus scenes at the end of a movie. It is the overall cafe experience that ultimately becomes the deciding factor on a sequel. I’m quite the cafe junkie and I believe it comes as no surprise when I dropped all plans to visit the latest kid to enter the scene, Baristart. 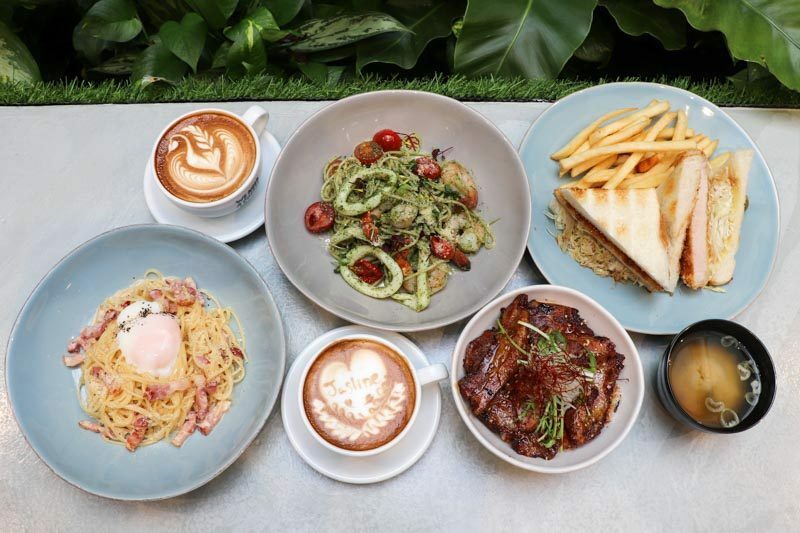 Located near Tanjong Pagar MRT, the popular cafe originates from Japan and is the very first outlet to serve all-day dining options. Lucky us! The concept of its interior is simple and quaint. With an open glass ceiling allowing beautiful golden rays of sunshine to enter, the 40-seater space takes on the theme of a modern enchanted oasis. I kid you not, the lighting is always good whether it rains or shines. Instagrammers, this has got to be next on your list. You’ll notice an eccentric monochrome-painted wall as you enter. 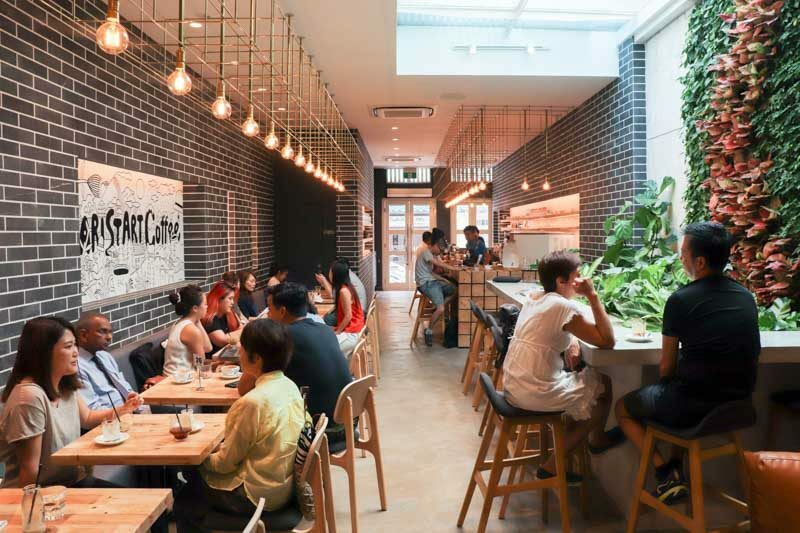 The design is actually hand-drawn by their in-house Japanese designer who flew to Singapore specially to leave his signature mark on the hipster establishment. Another potential background for those seeking aesthetic walls to snap Instagram shots, perhaps? I had the honour of having my special cup of coffee made by the man himself – Yuki Takeuchi. 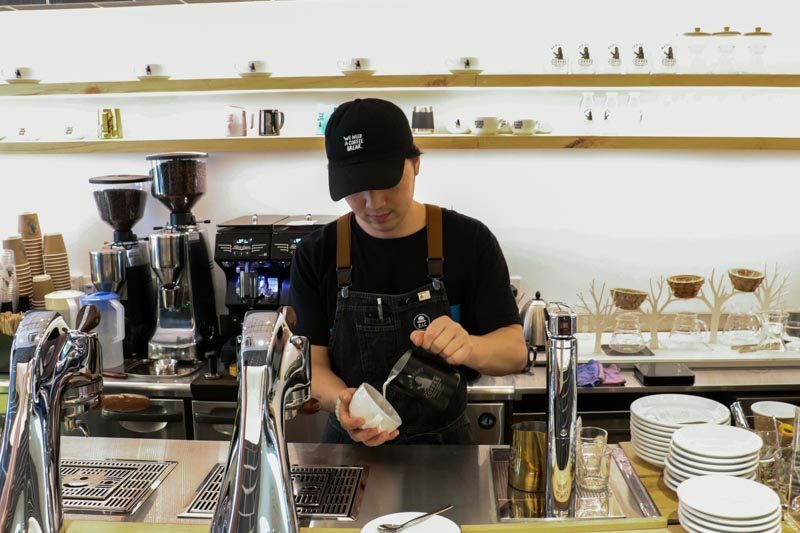 The Global Chief Barista is a two-time champion of ‘UCC Coffee Masters Latte Art Section in Hokkaido Region’ and his bespoke latte art is admired by many. You might be thinking: is the Japanese barista going to be here for good? Well, we’re afraid not. 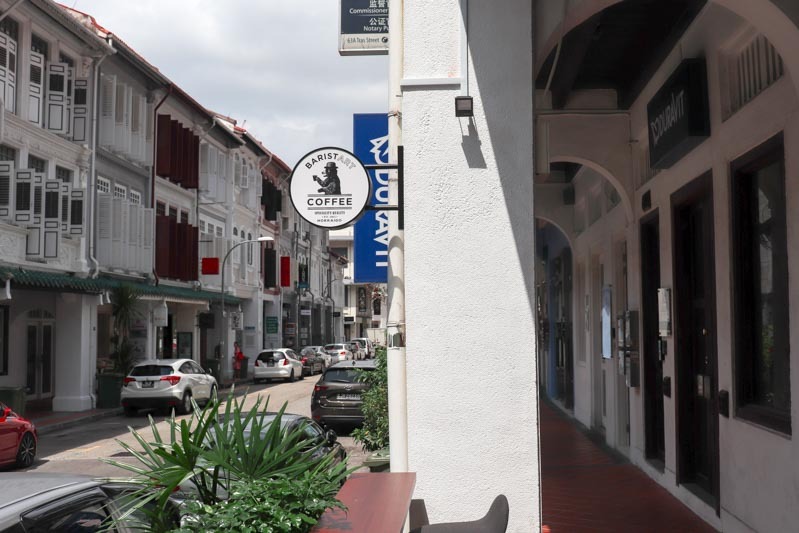 Yuki is here to personally train and mentor his team of baristas in Singapore to ensure consistency in all Baristart beverages. It’s worth mentioning that the milk Baristart uses is the specially imported Hokkaido BIEI Jersey Milk. From the coffee to desserts and even their food. If there’s a hint of milk in it, it’s all 100% Hokkaido milk. 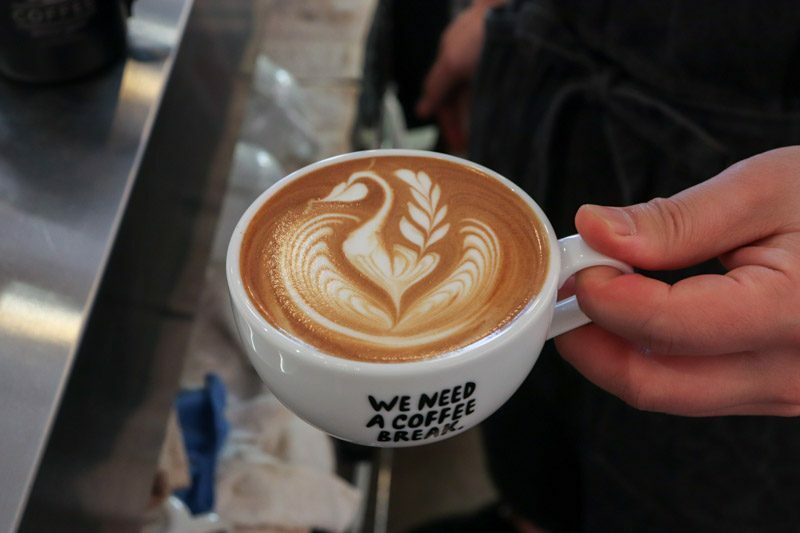 Now, that is some one-of-a-kind coffee you should expect from this meticulous cafe. It was indeed a wish come true to be able to have a cup of Latte (S$6.70) using Baristart’s house blend, poured by the legend himself. His hand at latte art was steady throughout and ever flawless. Sipping on this modest cuppa, it was undoubtedly different than many others. You can taste the difference the Hokkaido milk makes right as the coffee hits your tongue. It was rich and velvety, with the faintest touch of sweetness. With just the right balance of bitterness and strength, this premium cup is the perfect model of one’s daily fuel. After energising ourselves with some caffeine, we were stoked to have a go at the dining options here at Baristart. Being the first outlet to whip up appetisers and mains, we wondered how it would fare. Voila! 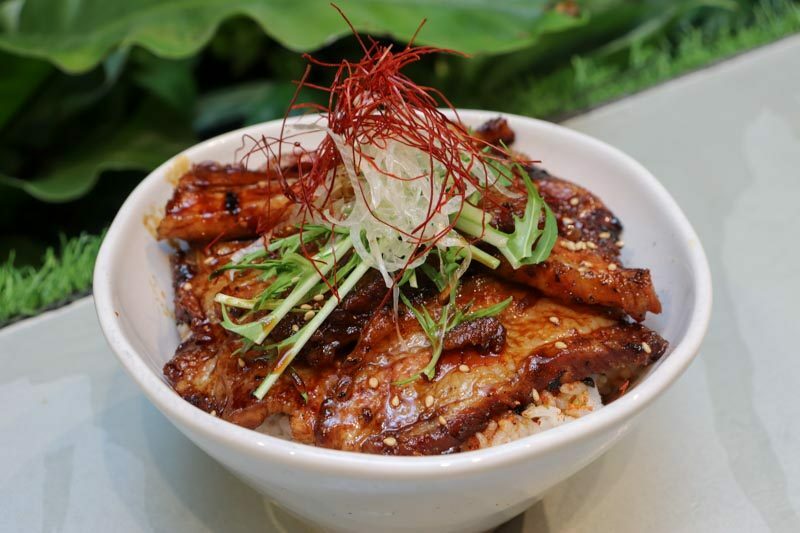 The two-week old cafe had a hot-favourite item slowly creeping its way up the popularity ladder and the Obihiro Butadon (S$18.80) was the fortuitous one. 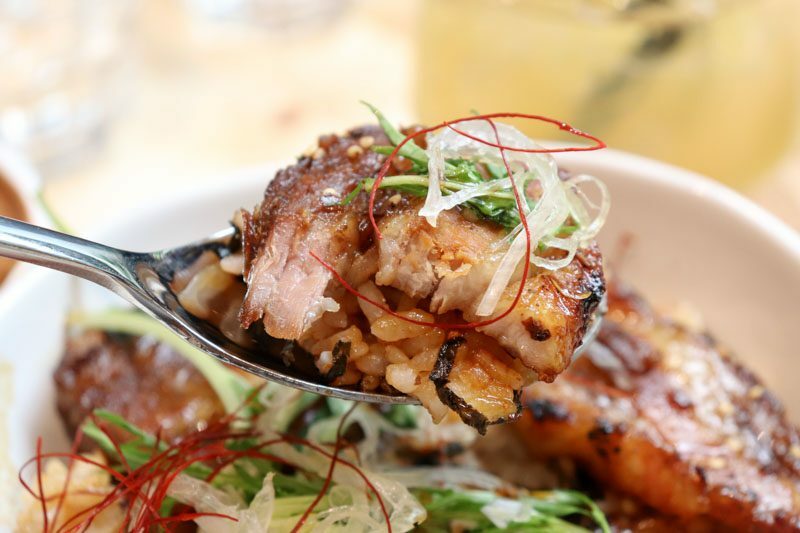 A blanket of grilled sweet soy sauce Hokkaido Kurobuta pork belly slices lay atop a bed of warm and fluffy Japanese rice, served with a bowl of miso soup on the side. 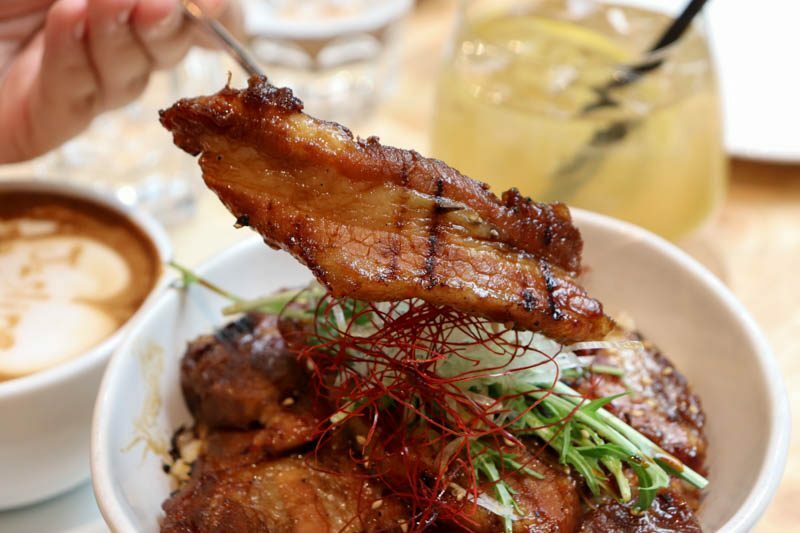 The premium pork slices in our bowl was abundant and being the glutton I am, I was pretty content with the portion for its price. It was flavourful with every bite, although I did find it a little on the sweeter side. Those slices may be a tough one to tackle, we recommend cutting it up to balance it with a spoonful of rice. 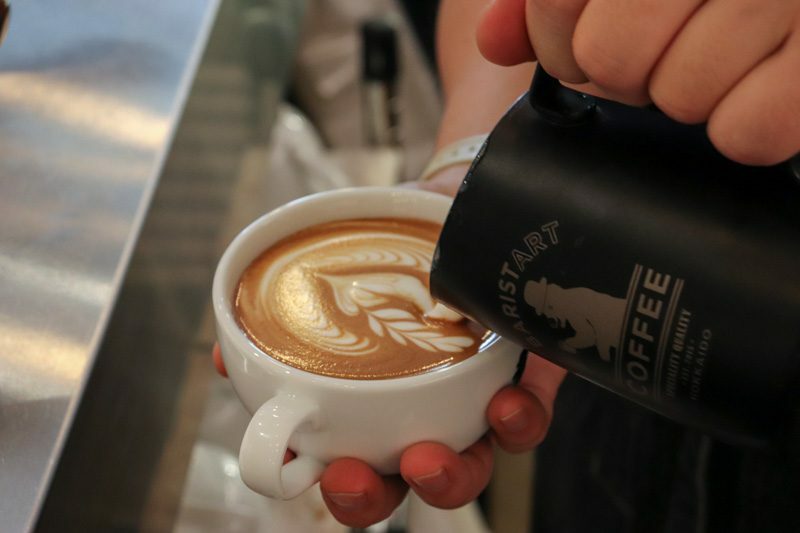 I enjoyed the idea of how Baristart paid homage to its Japanese heritage by using quality Japanese short grain rice and other traditional ingredients. It was this notion that heightened my experience at the cafe. 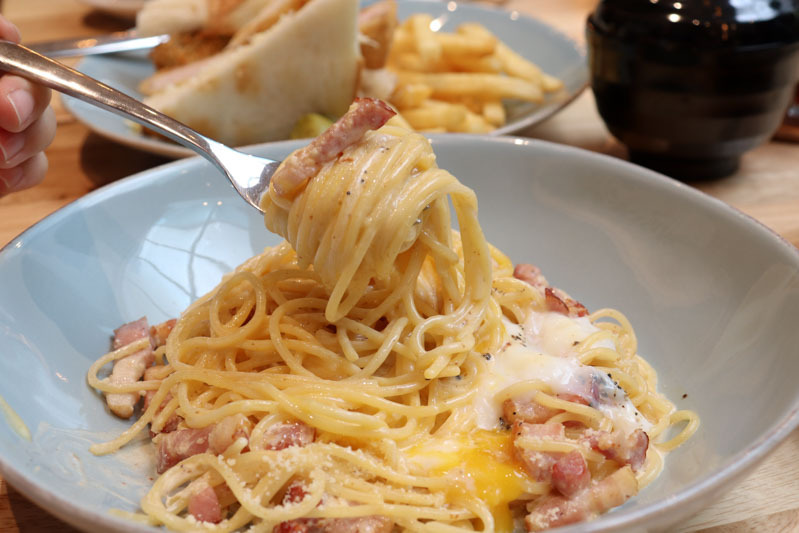 Next up, we had the Hokkaido Carbonara (S$17.80). Priding themselves in the milk they use, this dish was no exception. 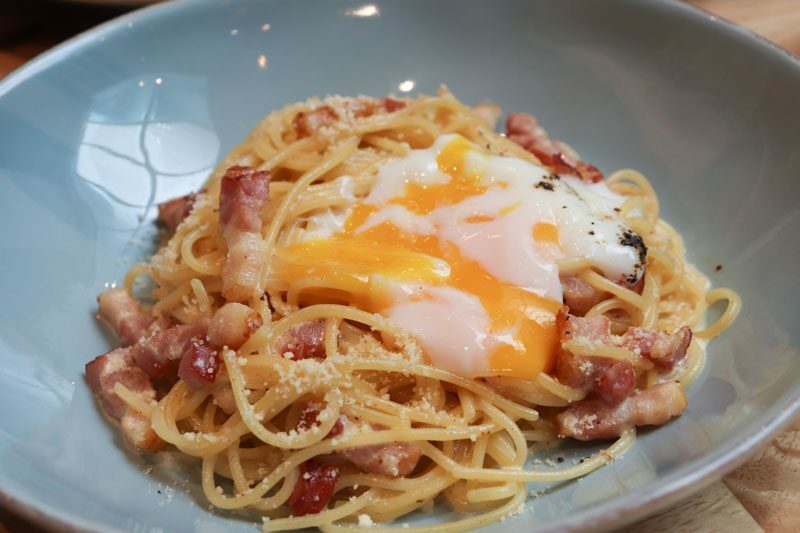 Tossed in the rich Hokkaido milk, the East-meets-West spaghetti dish had slices of Kurobuta bacon, parmigiano-reggiano (parmesan cheese) and a poached egg. Of course, we had to witness the glorious yolk flow and cut through it before mixing it in with the noodles. 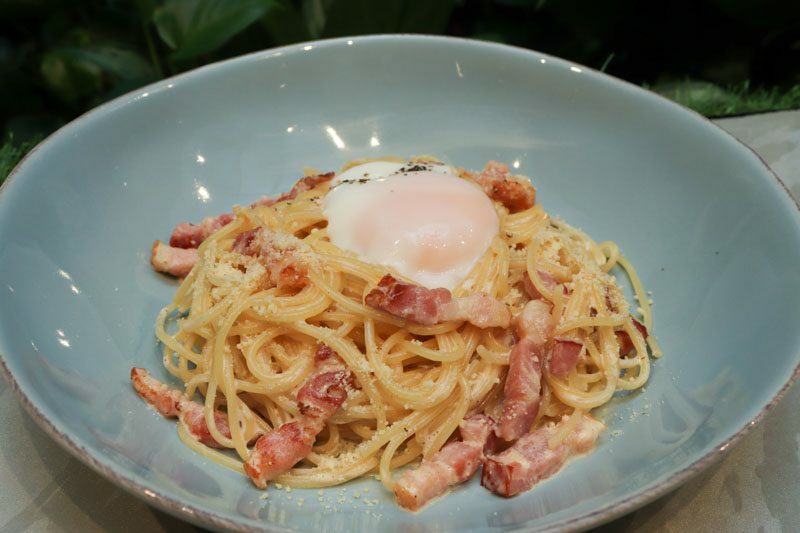 Typically, an Italian carbonara is cooked without cream or milk. Its creaminess is solely derived from pasta water, cheese and egg. For this fusion rendition, it takes a daring approach and seeks to be amplified with its prime choice of milk. After a few decadent bites into the dish, the dish gradually became underwhelming. It was not as rich as expected and I also thought it could use a little more salt and pepper. Despite the use of Hokkaido milk, it was a shame its slight touch failed to impress with this dish. Yet, I’m confident there is room for improvement for the tenacious team at Baristart. 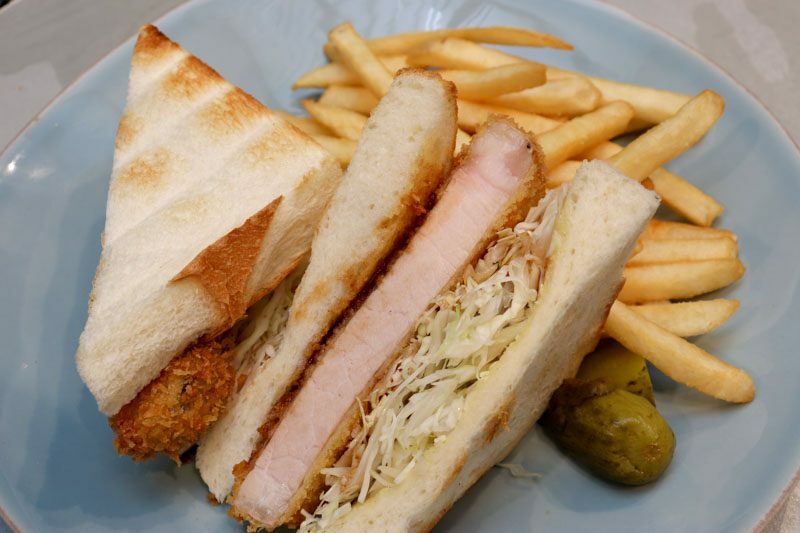 We moved on to the Tonkatsu Sando (S$16.80), a quirky play on the famed Japanese breaded pork chops and brunch staple. The sandwich set was served with thick-cut fries and gherkins to plate up a Western classic. Now, this was comfort food at its best. 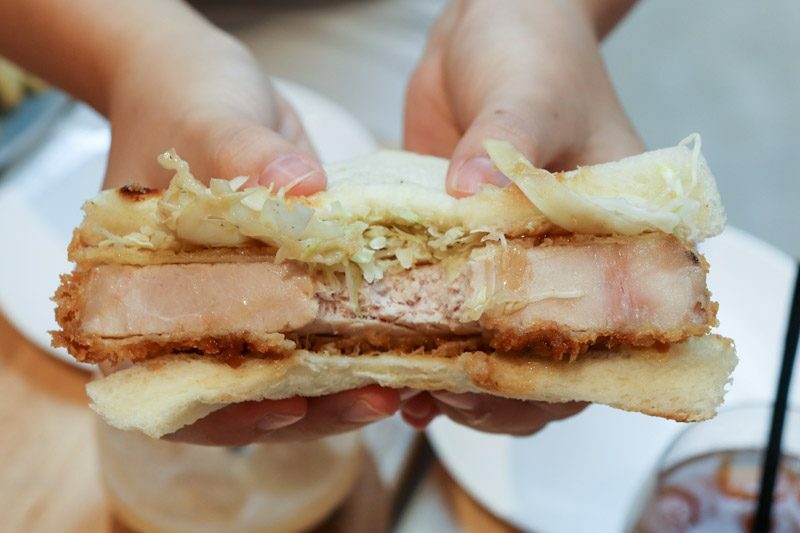 The centimetre-thick pork cutlet was juicy and well-seasoned, which made every bite quicker than the last. Together with the chopped cabbage, tonkatsu sauce and mustard butter stacked between crustless white bread, this was a killer combination. Do not be deceived by this plain-looking sandwich; it’s far more delicious than it looks and we’d be selfish to share a bite. 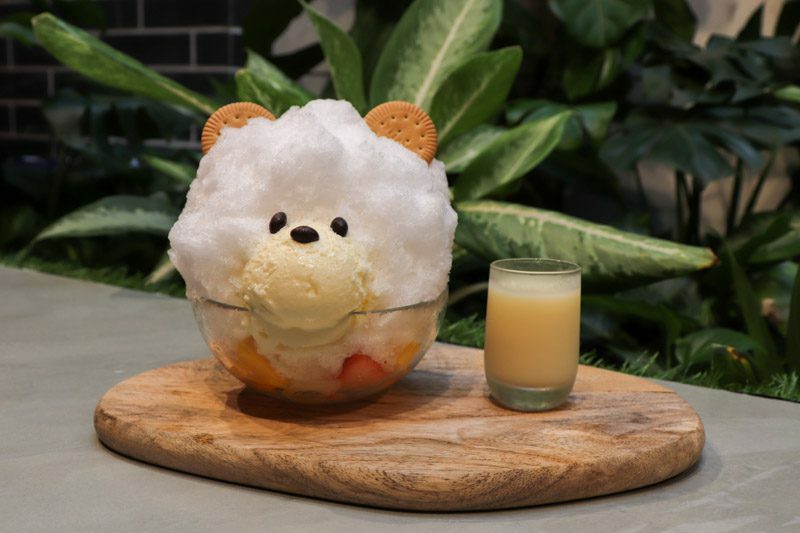 Of course, we couldn’t pass on the talk-about dessert Shaved Ice (Shiro Kuma) (S$9.80). The dessert rose to fame after its cute appearance made it difficult for customers to eat. 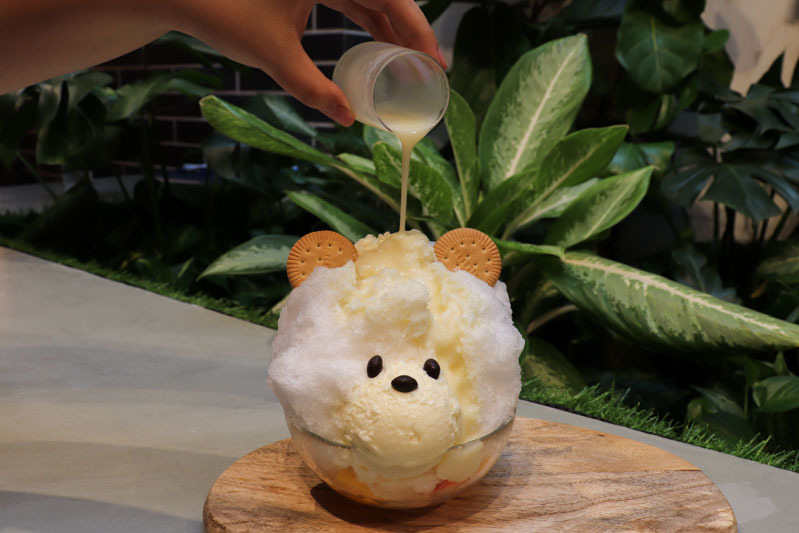 Similar to Korea’s bingsu and our own local ice kachang, this Japanese version was served with a choice of homemade syrup: Coffee, Hokkaido BIEI Jersey Milk, Strawberry, Mango or Green Tea. We played it safe and tried the Hokkaido BIEI Jersey Milk syrup. The Instagrammable dessert looked like a fluffy cloud from a distance and the shaved ice held up fairly well for its duration out. Together with orange, mango, white peach, strawberry and homemade vanilla ice-cream which was distinctively good, this was a stellar dessert. Truly an indulgent bowl. 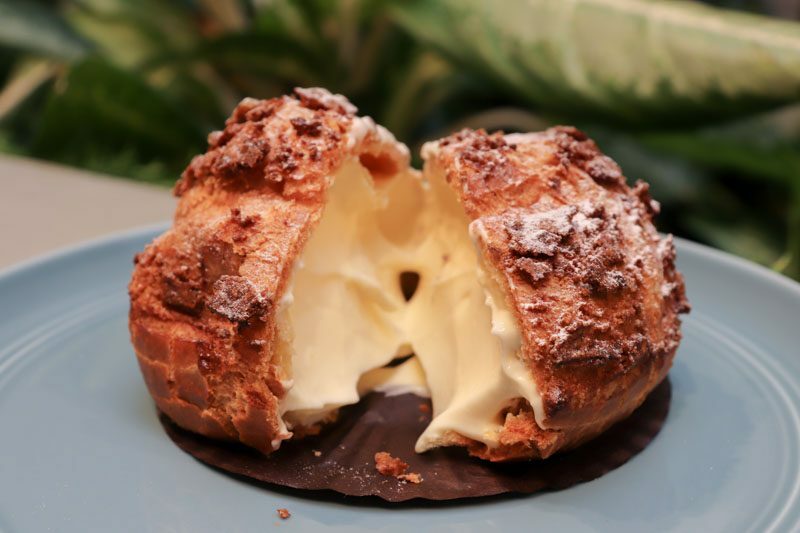 To end the gastronomical feast, we had the house speciality Cream Puff (S$4.50). 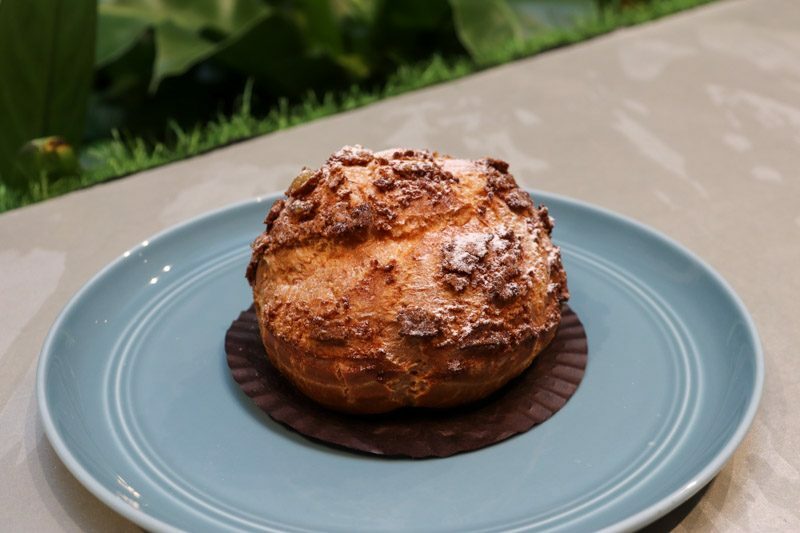 The puff had a crisp exterior and was the size of a tennis ball. It definitely isn’t just any other store-bought snack. Slicing into the unassuming puff, I was greeted with the luscious custard cream that filled to the brim. It was decadent and oh-so-addictive to indulge in and if there’s any dessert that captured the crux of Baristart, this is it. I’d bag a few of these home for myself if I were you! The power in how the milk makes a difference is one you need to try to play judge. One thing’s for sure is that you can trust the coffeehouse to perfect their coffee and sweet treats. 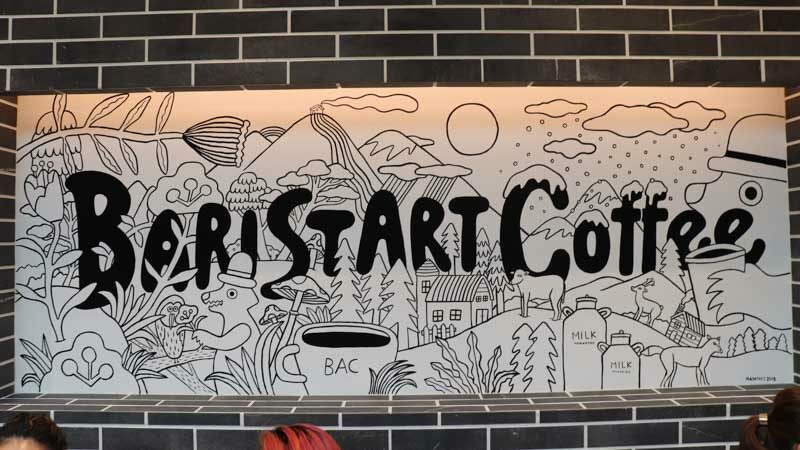 I’m sure in no time, Baristart will be brimming with enthusiastic cafe hoppers but until then, we’re hopeful that the earnest hearts of the team there will continue improving their food. For me, I’d definitely return to try out more desserts.